A "freak&apos;&apos; gust of wind has been blamed for the mishap involving the America&apos;s Cup multihull prototype on Auckland, New Zealand&apos;s Hauraki Gulf. The revolutionary yacht sustained severe damage to its right wing and possible further structural damage after capsizing. The boat was being crewed by members of Swedish challengers, Artemis Racing, when the mishap occurred. 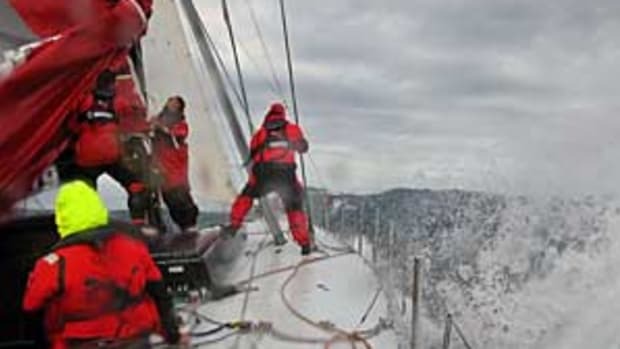 "We were doing some maintenance and the breeze caught us unaware ... it was all pretty under control and then we got a freak puff," America&apos;s Cup official Troy Tindall told Stuff.